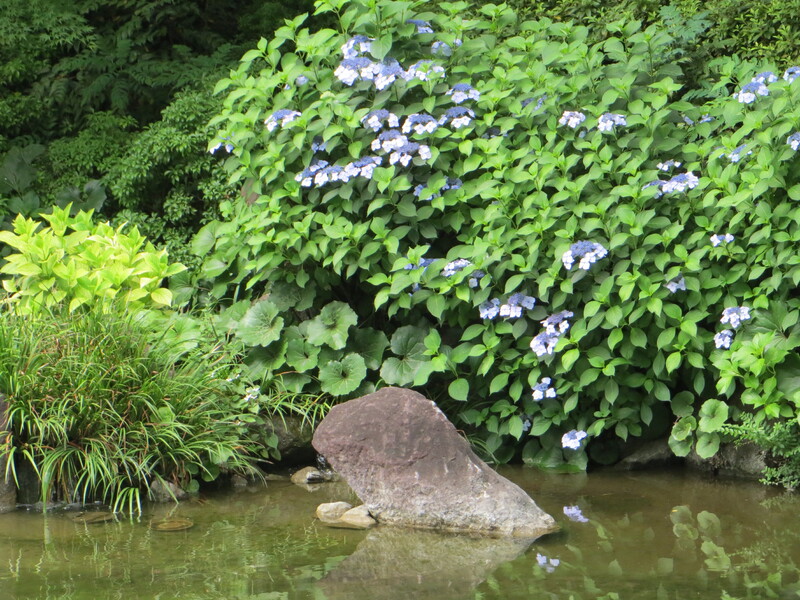 It has been a long time since I have completed an episode of Tokyo Diaries, and for those that were previously following along, I apologize. For those of you that are coming across this series for the first time, if you like what you see take a look at some of the previous episodes. 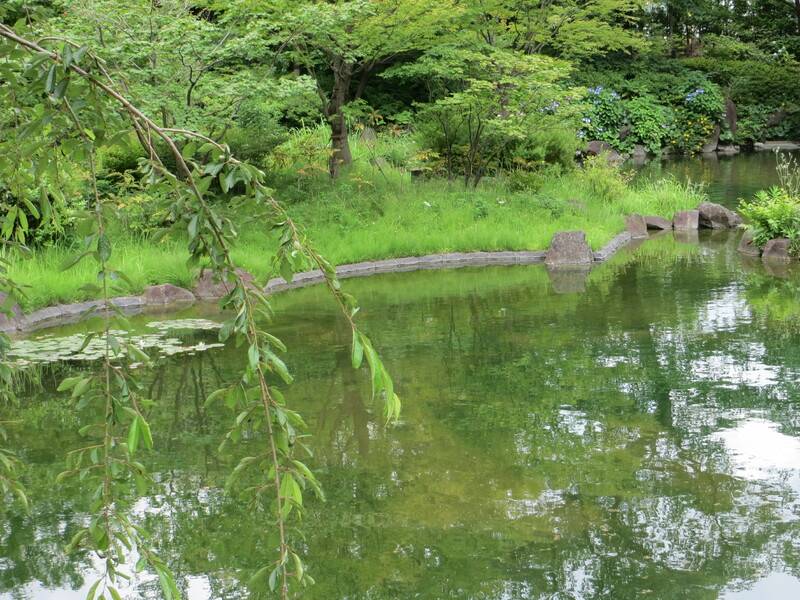 I have struggled as of late to be able to find time to continue chronicling my adventures in Tokyo, but I feel that I should finally make that happen. 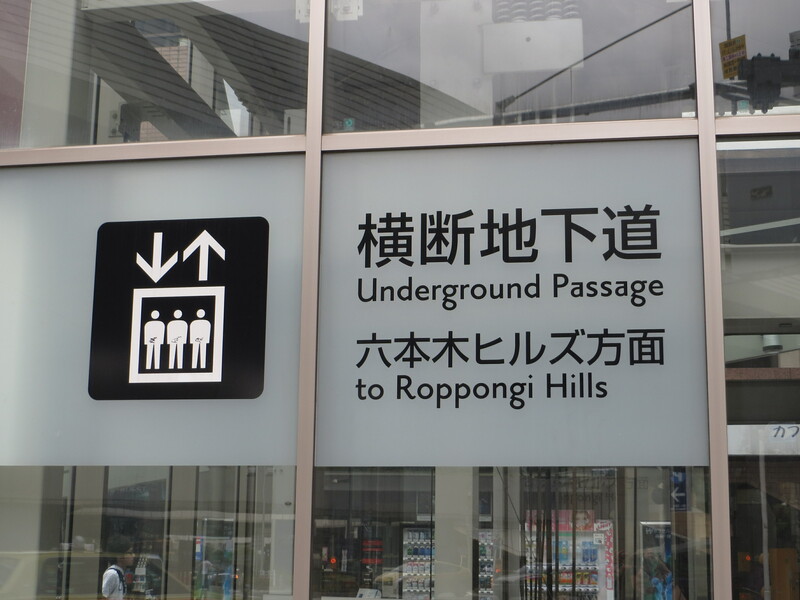 It has been over a year since my feet were on Japanese soil and there is not a day that goes by that I do not miss it horribly! 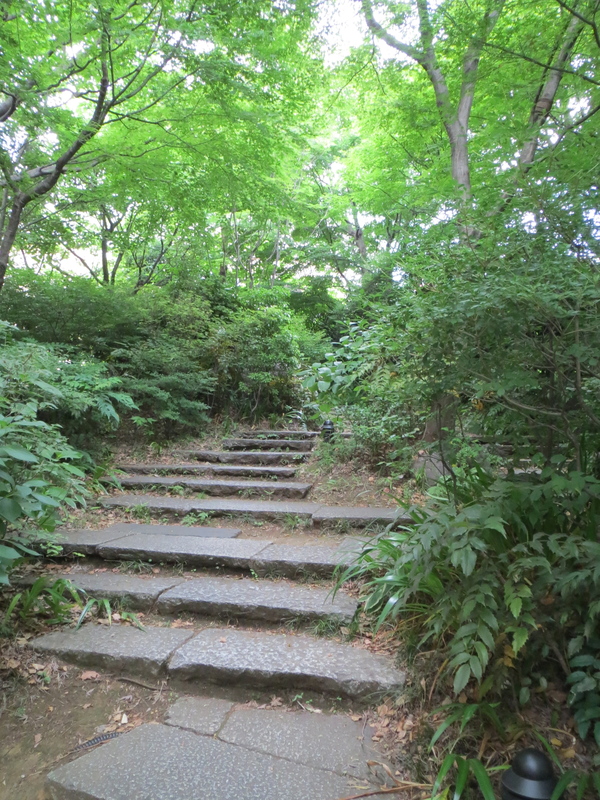 We have recently had to cancel our upcoming trip for Sakura season and that has left me quite sad so I hope that continuing to revisit my last journey will help me in my sadness. In our previous episode we had a chance to visit Senso-ji and take a trip back in time. 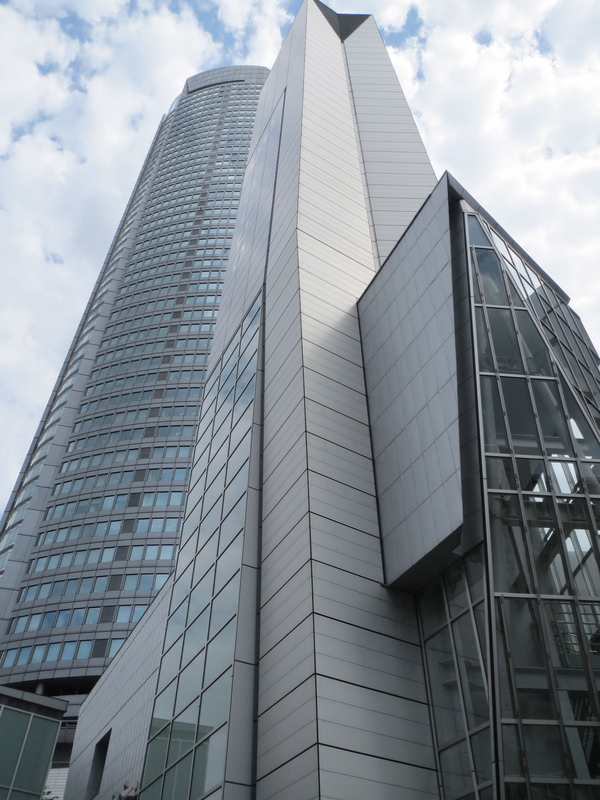 This episode we will be going on a whirlwind tour of Tokyo Midtown, Roppongi Hills, Tokyo Tower and Tokyo Skytree! I cannot even begin to tell you how exhausted we were at the end of this day! 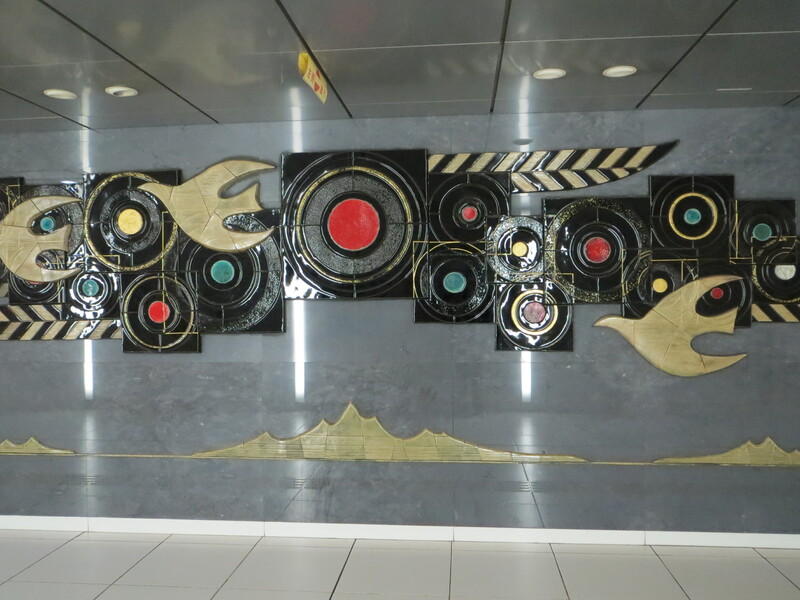 I love the fact that when you arrive at certain station throughout Tokyo, you are greeted with amazing art. 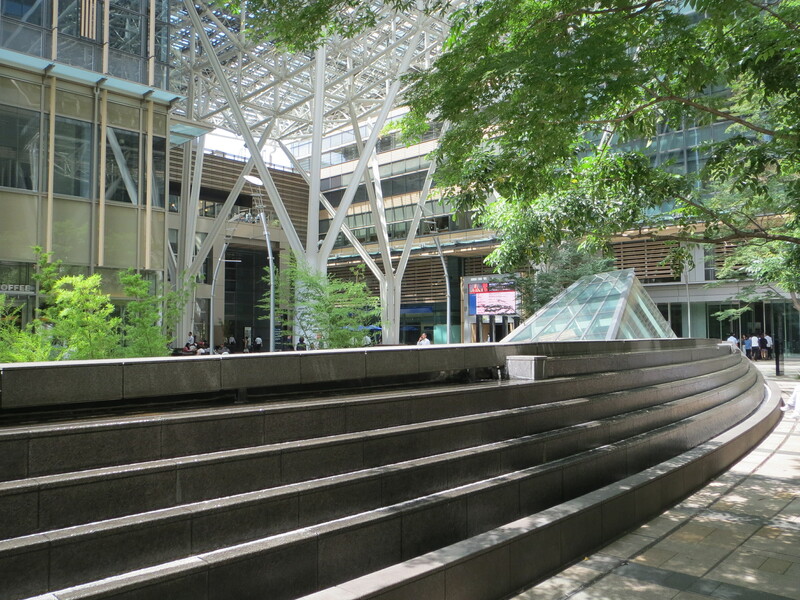 This was what greeted us that day as we arrived at Shiodome station. 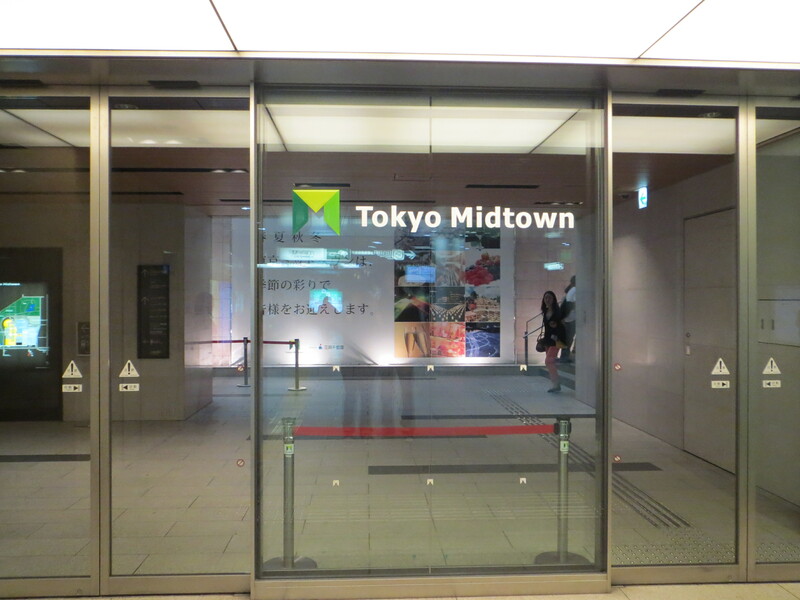 Tokyo Midtown entrance upon arrival at the station. 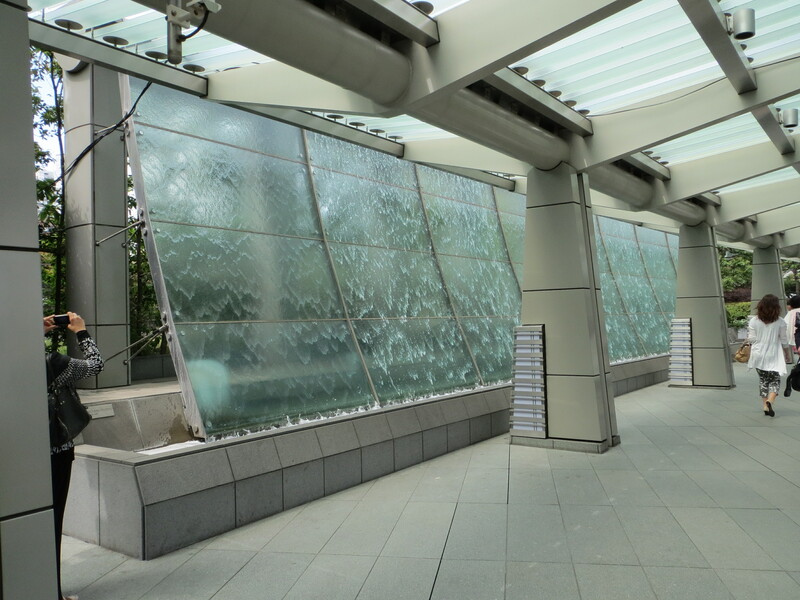 As you ride the escalator up to the first floor of Tokyo Midtown, you come across this amazing water fountain. 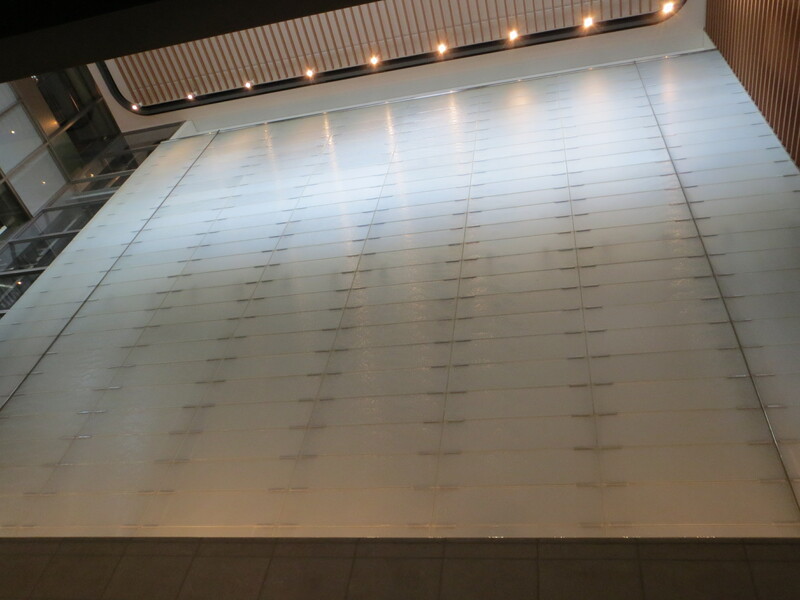 It is quite impressive and literally takes up the entire wall. 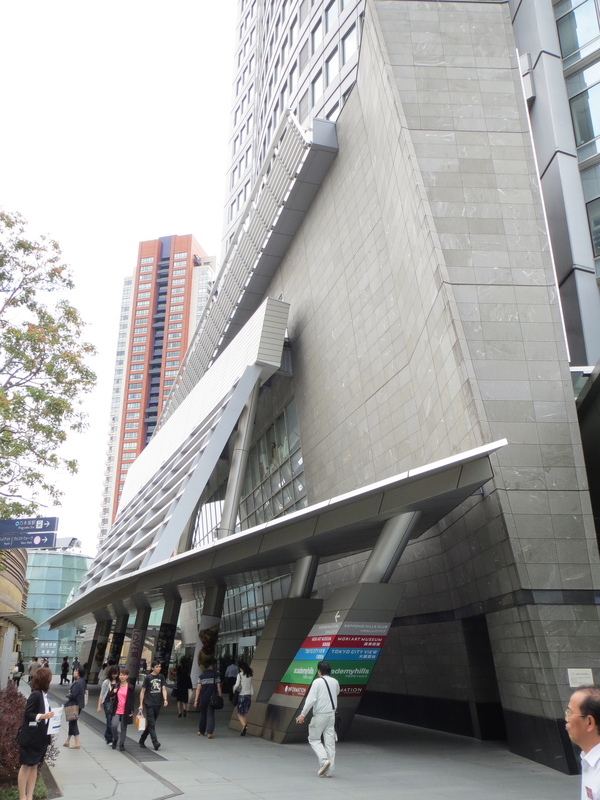 There is quite a bit of fantastic sculptures and architecture all over. 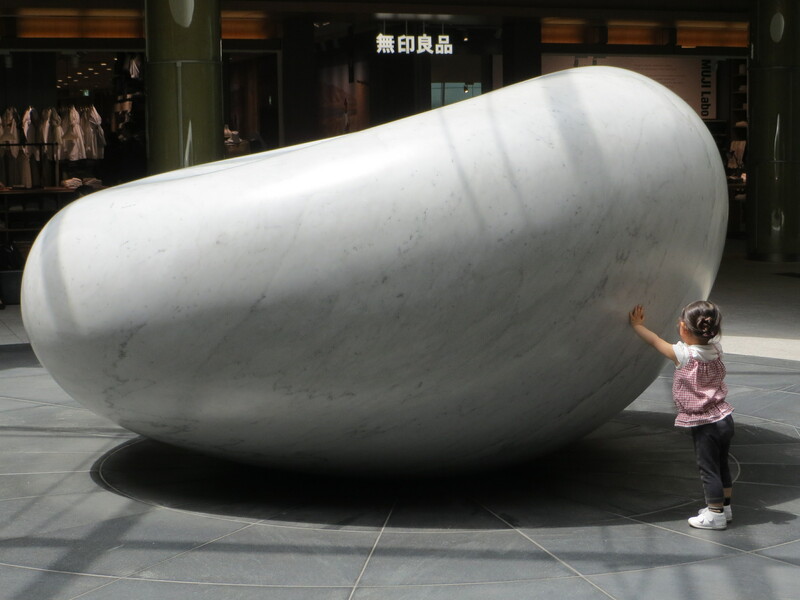 This sculpture was in the center of a very large circular skylight, and you can see from the small child that it is a fairly large piece. 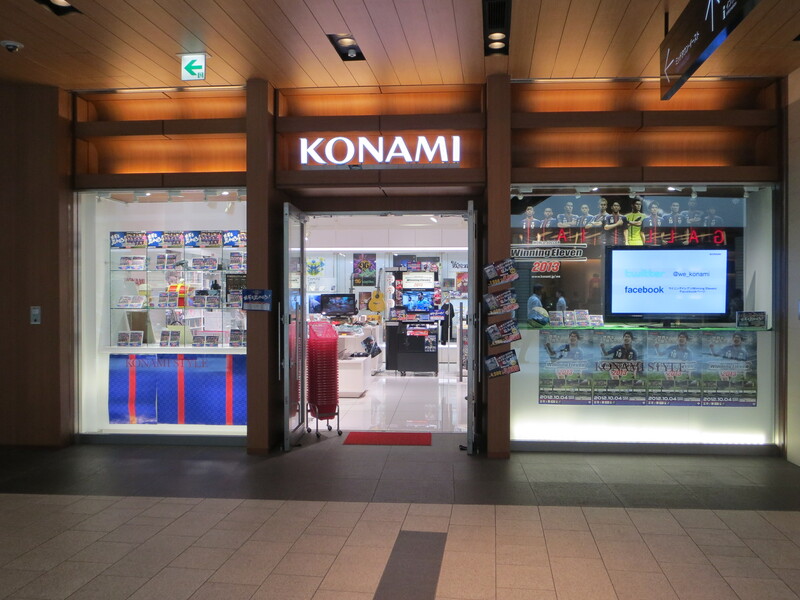 I found the Konami store! 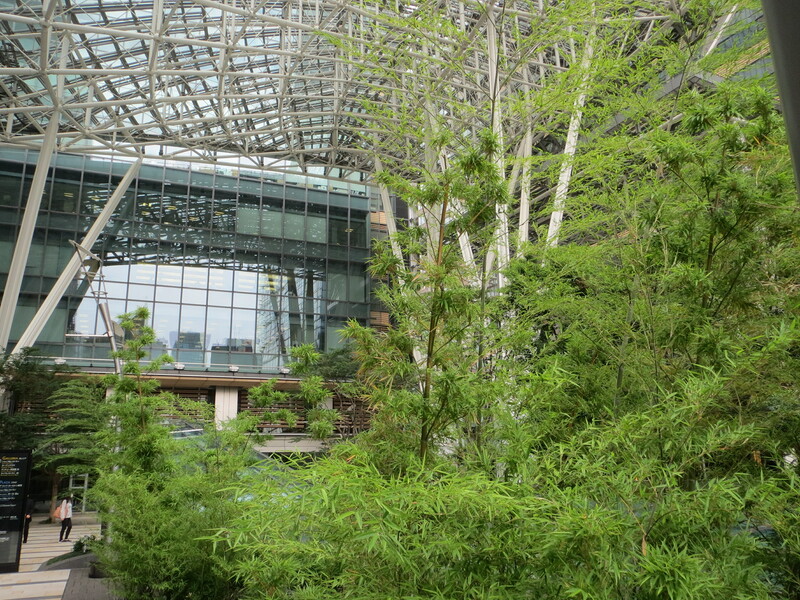 This is what you see as you gaze up into the large water feature that resides in the middle of Tokyo Midtown outside. 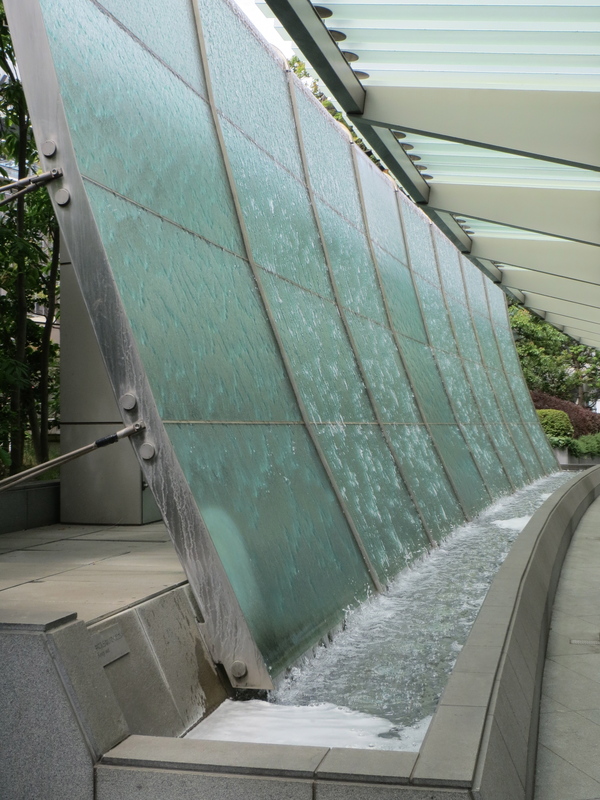 This is the same water feature as you see it from outside. 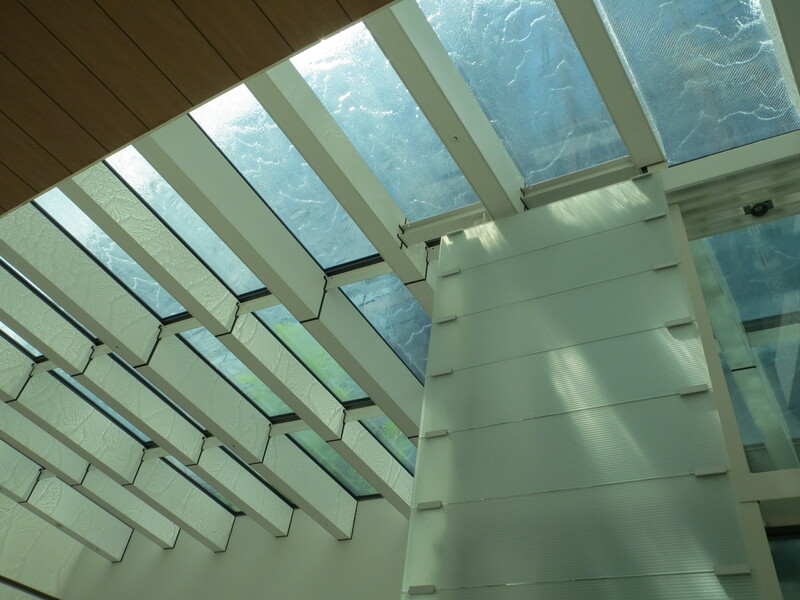 You can see the Konami Card Game Station peeking out at you from the other side. I was awestruck at the beauty of this place. 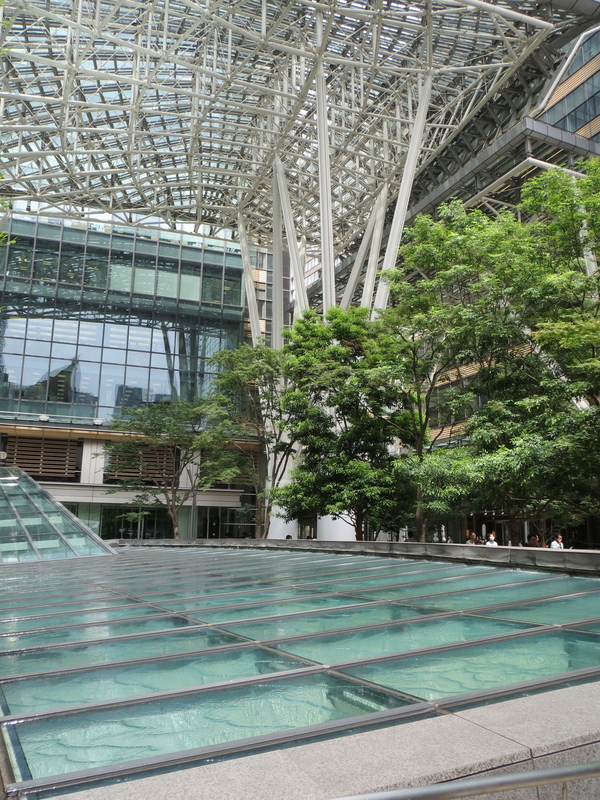 I think one of the things that amazes me about Tokyo is how much lush scenery you can find and how well they are able to combine steel, glass, and trees together without taking anything away from each one individually. Sadly since we packed so much into this day we were not able to take the time to go inside, however we did explore the surrounding area. 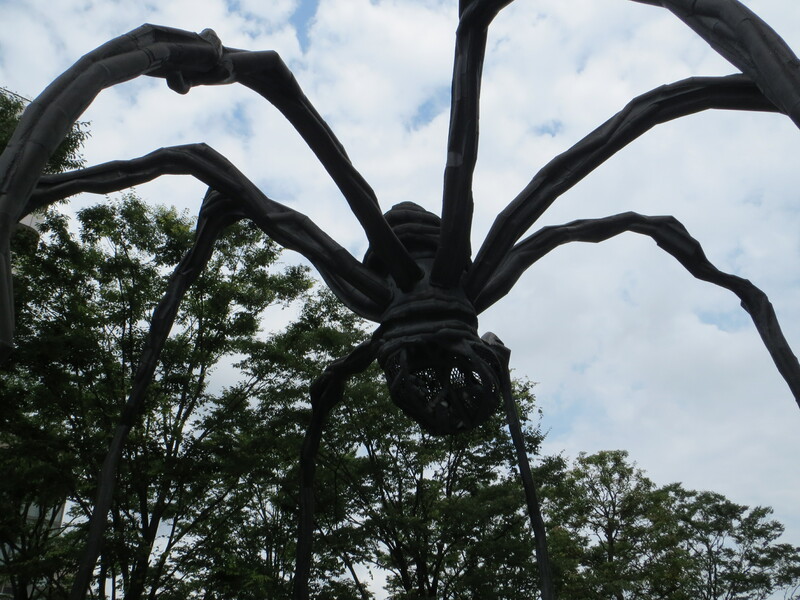 Louise Bourgeois’ giant spider named Maman. 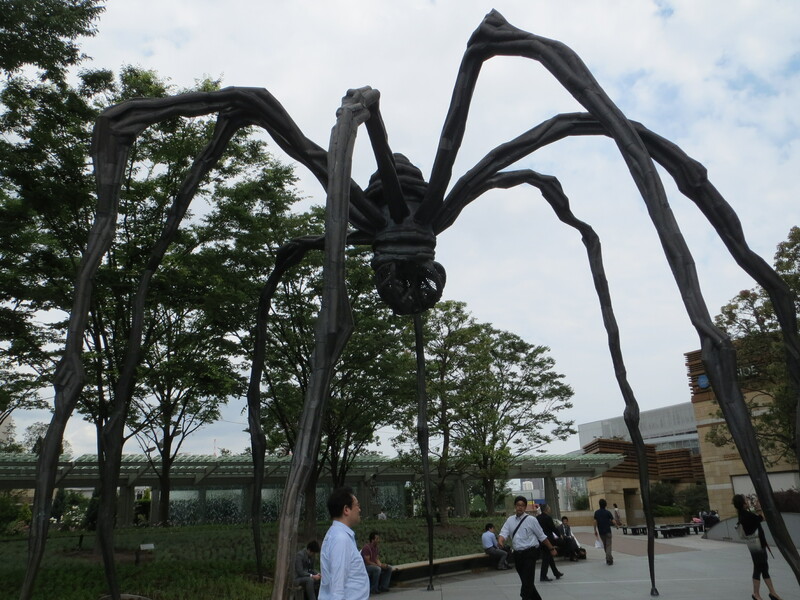 Water fountain that follows alongside Maman. 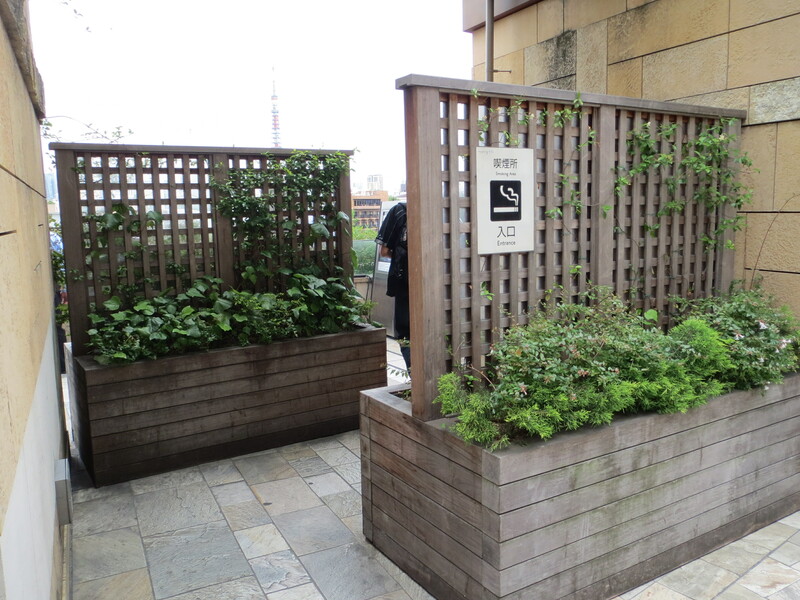 In Tokyo it is disrespectful and basically not allowed to smoke in a random space. So they have strategically placed a bunch of “smoking areas” throughout the city and some are even in governmental buildings. I found myself being pretty obsessed with taking pictures of them all, and I dont even smoke! 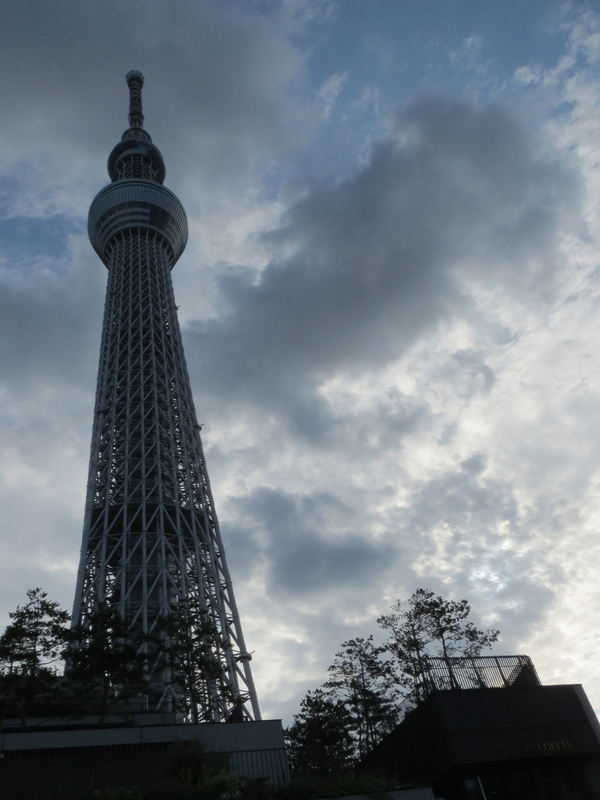 This was one of the ones with the best view of Tokyo Tower. 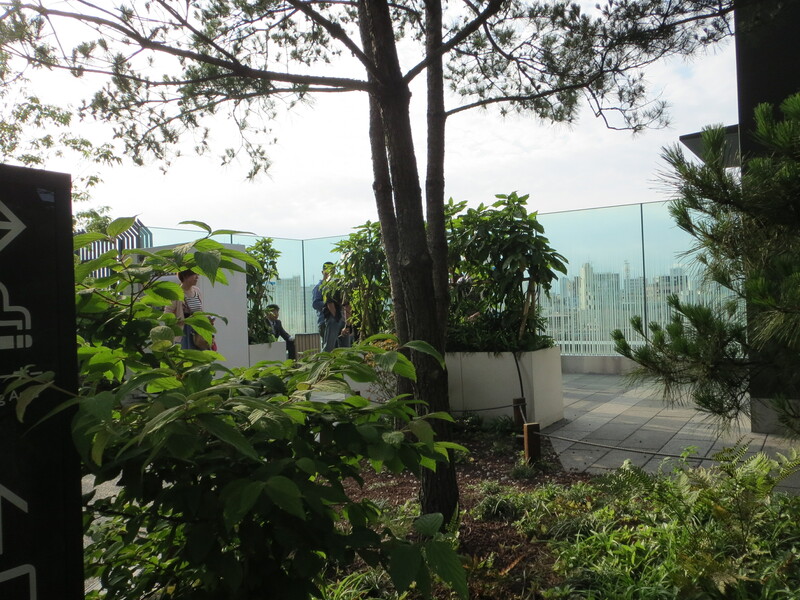 View from the “smoking area”. 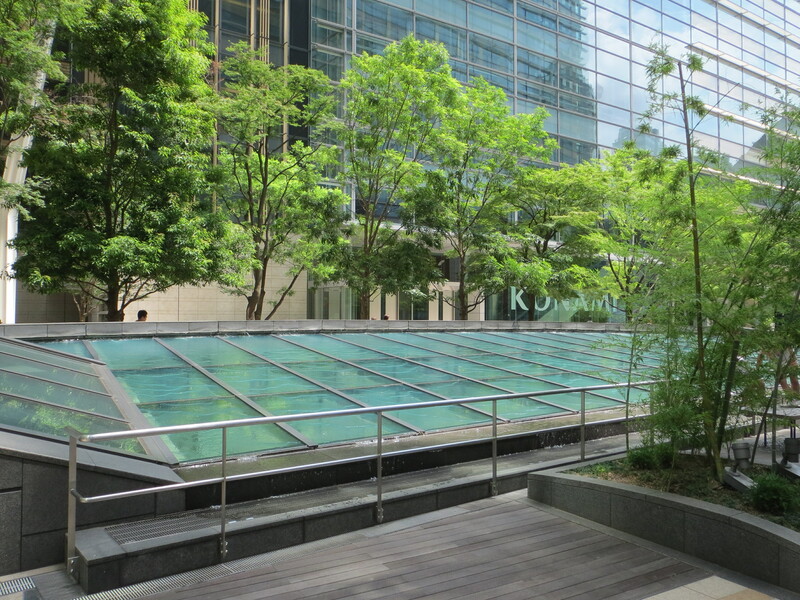 There is a peaceful garden below the Mori Tower with a pond and lush green walkways, perfect for a picnic! 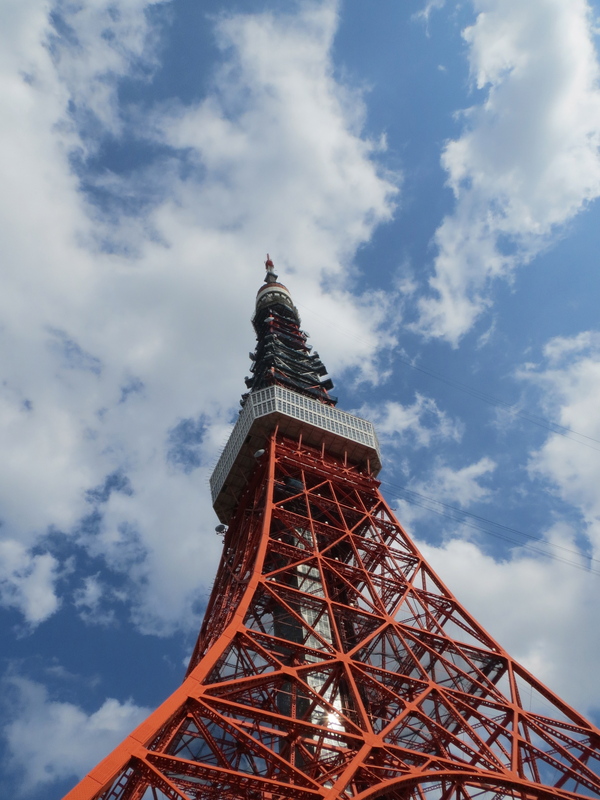 Tokyo Tower was our next stop on this insanely busy day. 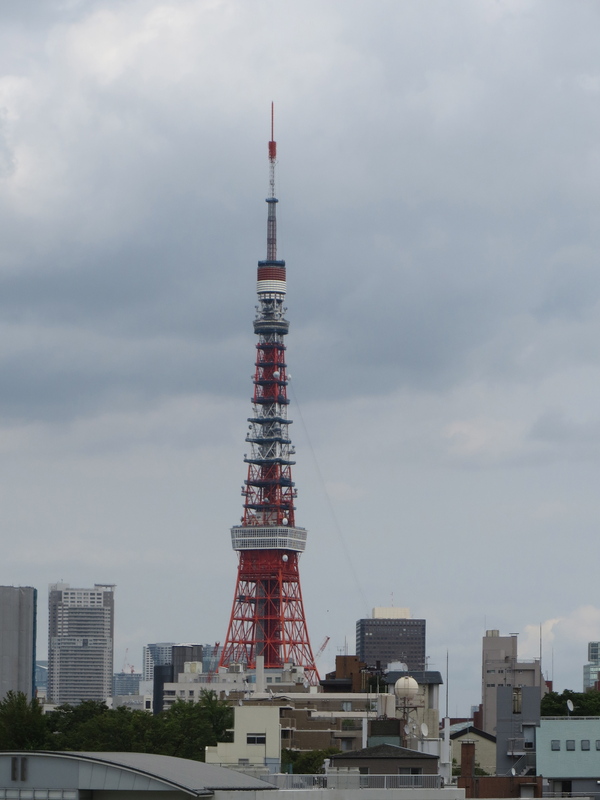 Built in the 1950’s to resemble the Eiffel Tower, although a little taller, this seems to be one of the most easily recognizable landmarks in Tokyo. Inside there are countless little stalls full of souvenirs and goodies that you cant help but want to take home. I did resist although in retrospect that was silly. 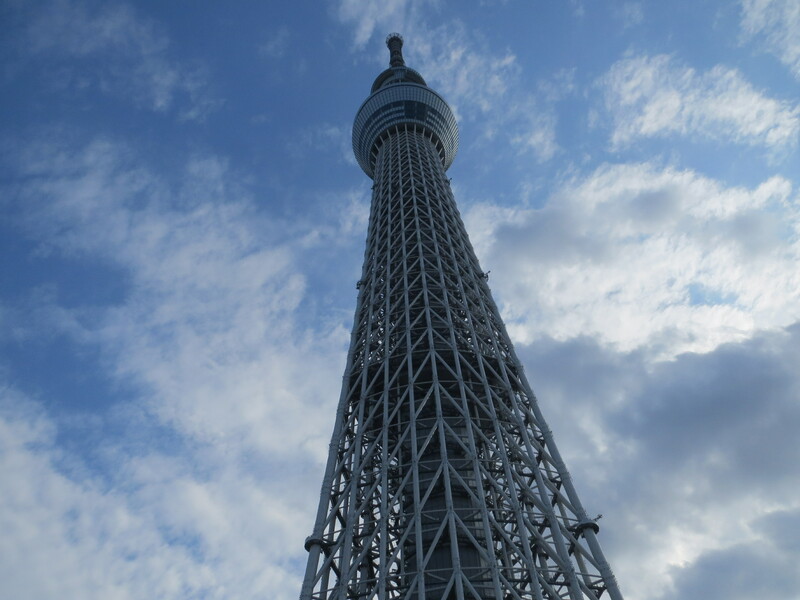 The wait for the viewing platform was pretty long so we decided to go ahead and head out to our last stop of the day, Tokyo Skytree. 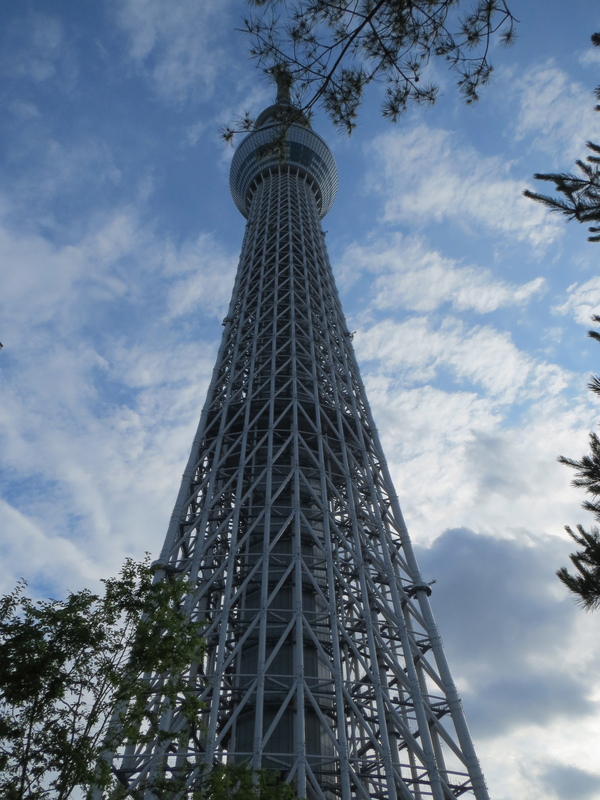 As you disembark from the rail at Tokyo Skytree station you find yourself walking into a tall maze of escalators that will take you up into what I lovingly call the Tokyo Skytree compound. 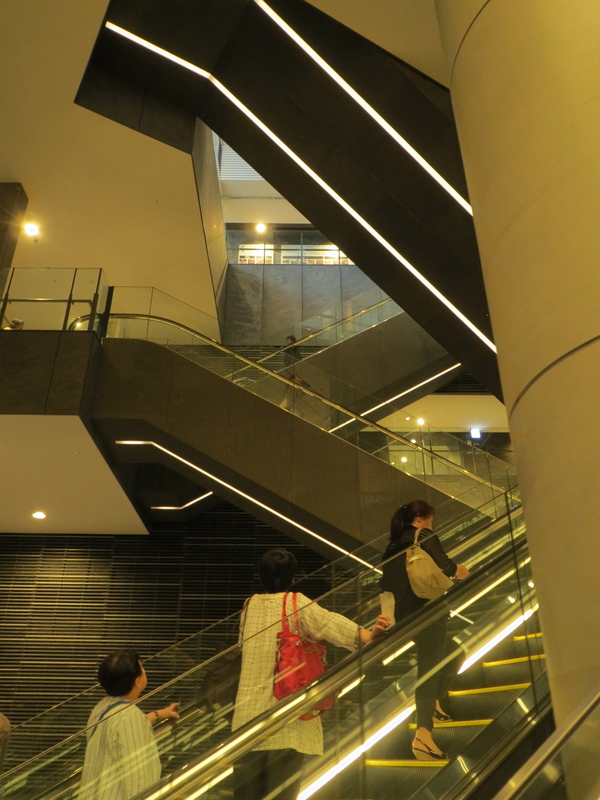 This is the site that greeted me as I rounded the corner after having arisen from the escalators. 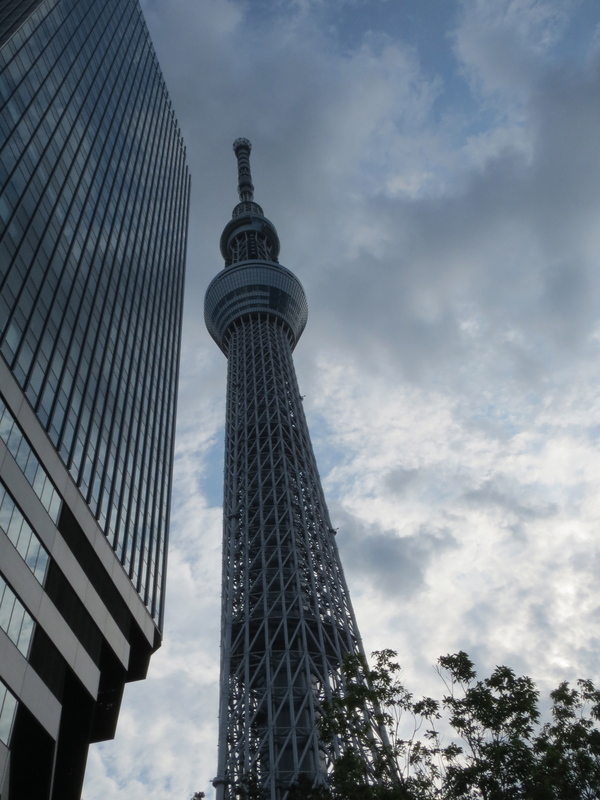 Completed in 2011, Tokyo Skytree stands 634 meters (2,080 ft.) tall and is surrounded by numerous shops and restaurants. I found another “smoking area”! 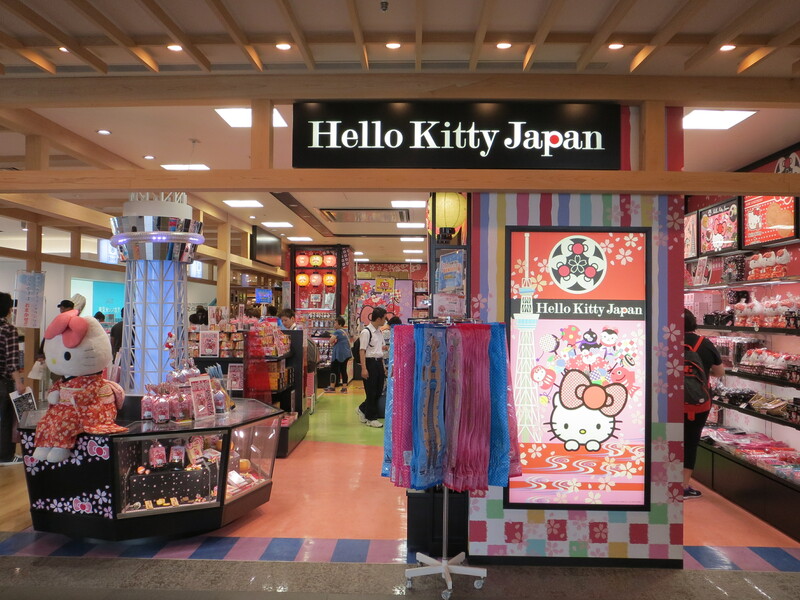 Inside the shopping area I found a cute little Hello Kitty store. This is one of my favorite representations of Hello Kitty. 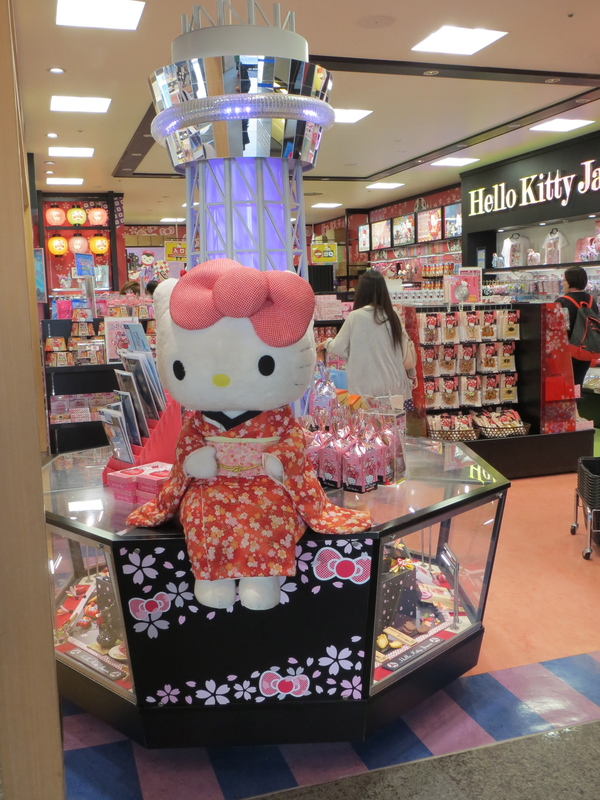 There is something very classic and yet kawaii about Hello Kitty in a kimono. 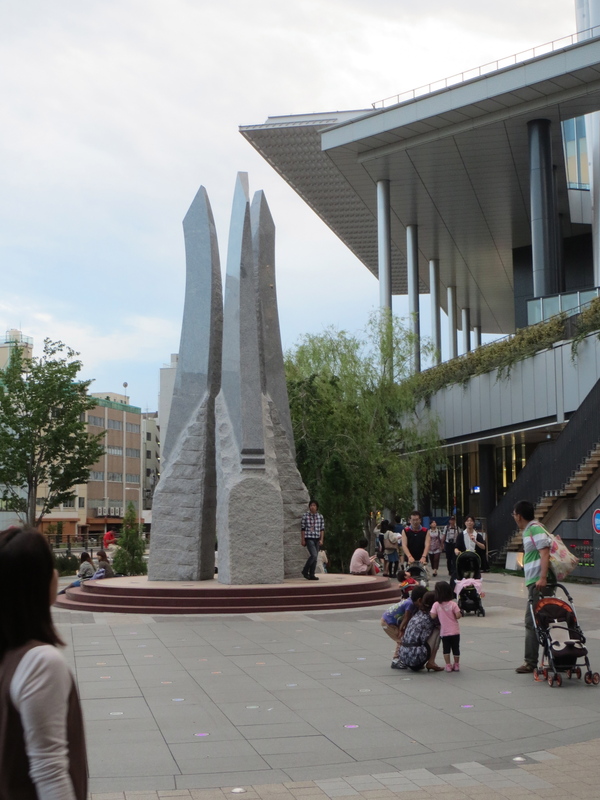 Fantastic sculture right outside the official Tokyo Skytree store. 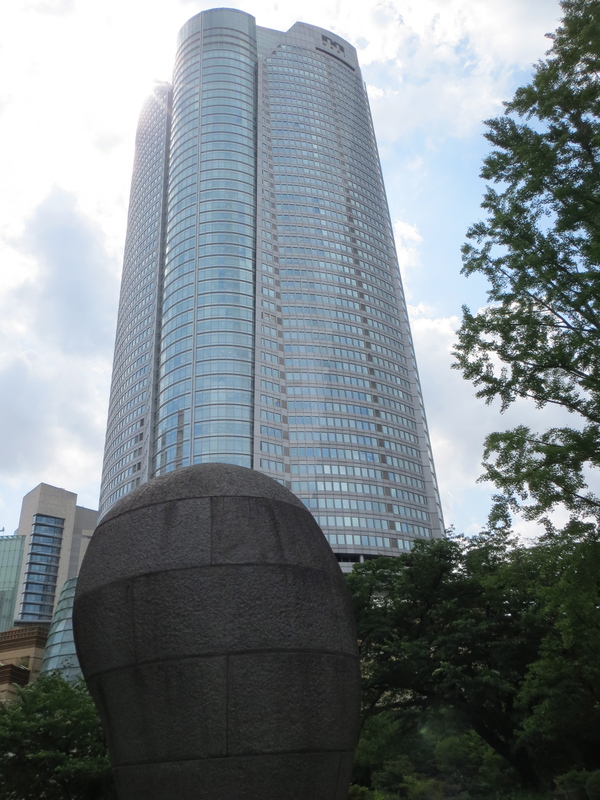 There is so much to look at and explore all around that by the time we decided to go get tickets for the observation deck there were none left for the day! We figured we would be able to come back before we left but sadly time escaped us and we never made it back so this is on the “To Do List” for our next trip. 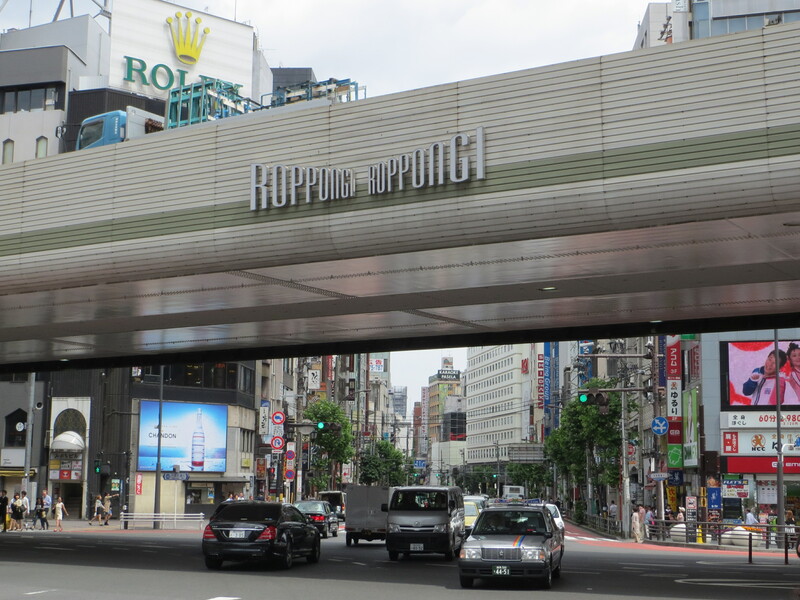 This was such a fun-filled yet exhausting day, it is amazing that you could stay in Tokyo for a couple of weeks and still leave things undone! Stay tuned until the next Tokyo Diaries!